Currently, the level of craftsmanship in acoustic electric guitars is at the all-time high. The quality and consistency have been raised all across the board to near-perfect conditions. The different manufacturers have been taking the art of design quite seriously so that they can deliver better products in this ever more competitive market segment. The $300 to $500 price range is the bread and butter of guitar companies, and they are always looking for new ways to innovate their guitars in this range. The top guitar manufacturers like Fender, Yamaha, Seagull, Takamine, and Taylor who are known to produce high quality, world-class guitars are just some of the manufacturers who offer guitars at the sub $500 price range. The acoustic guitars in the $500 price range are often the most versatile ones. Some are of poor quality and cheap materials and should be available in the sub $300 price range or lower. Some are built with quality materials that appeal to nearly every user. Still, there are guitars in the $500 range that could rival models at the $1,000 range, and these are the models you should be looking for. 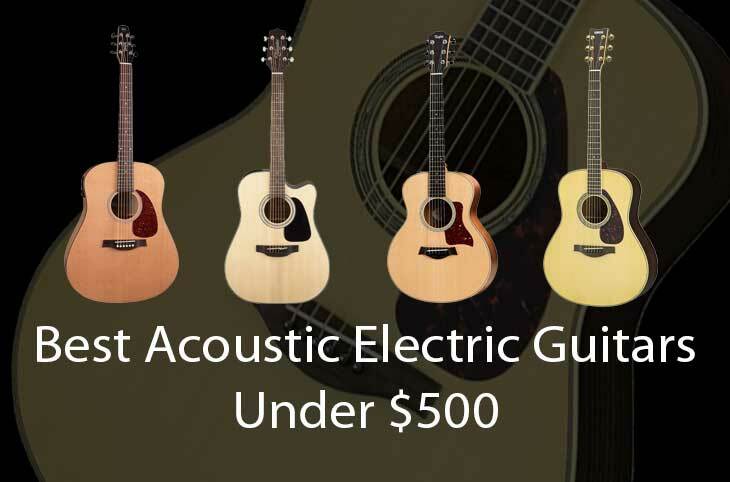 In this article, we have reviewed the best acoustic electric guitars under $500 that are not only of the best quality possible but also give you the best value for your money. This is considered one of the best acoustic guitars in the market for beginners. It’s has built its name with its outstanding sound quality, and simplicity. With a cherry wood for the side and back, maple for the neck, rosewood for the fingerboard, and cedar for the top, the S6 original looks really beautiful. The genuine lacquer finish adds on to its simplistic, classic style. Nonetheless, what makes it a great choice compared to other models in this price range is its ability to produce high-quality sound. The playability is also great, and while it’s in your hands, you can tell you can rely on its craftsmanship. Users have given it positive reviews, saying that the sound gets better as you play it over the years. However, some complaint about the guitar is that the varnish bubbles can be seen on some pieces. The pickguards have rough edges, and the strings depreciate faster than average. However, you can easily swap them for better ones. For those looking for the best acoustic electric guitar under $500, the GD30CE is an effortless win. As one of the long-time favorite and ever-worthy guitars of all time, this dreadnought provides excellent quality at this price point. Just like other Takamine guitars, the GD30CE is made using premium wood and materials to deliver top-notch sound quality and longevity. The back and neck are made from mahogany while the sides are made of solid spruce wood. Rosewood is used for the fingerboard and the pinless bridge. It also comes with a TP-4TD preamp system which comes with a 3-band EQ, built-in tuner, and gain controls. The preamp is easy to use, and accurate so that adjustments are always a breeze. There’s a battery included in the package, and the guitar has an incredible overall setup from the start. The only drawbacks with this model are quality control issues, and a number of customers dislike the stock strings. Taylor is a popular brand that delivers premium quality and total comfort for playing the guitar. While the GS Mini measure only at 23.5 inches, it’s sound matches that of a full-sized guitar. This model, in particular, does an excellent job matching the volume based on how hard or light you strum the guitar. Using Sapele for the neck and genuine African Ebony for the fingerboard, the GS mini produces crisp, warm tone on the midrange, and still produces bright bass and treble. The strings generally have a clear sound to them, which sounds more of a snappy tone. Moreover, the guitar can easily play any genre you throw at it, as it has a balanced tone. 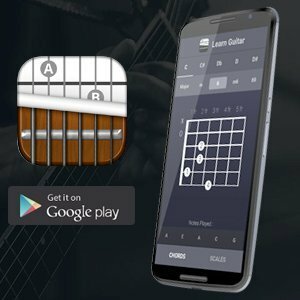 Since it’s smaller, you won’t have any problems playing it, whether you’re standing, sitting, or just trying those hard-to-reach chords. 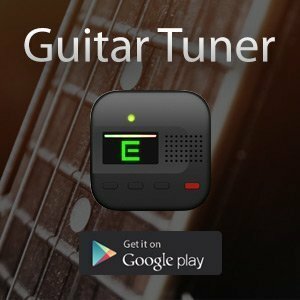 The only drawback is that some users might find it difficult to play with the tuners because they’re slippery and requires constant adjustments. Yamaha has set the world of guitars on fire with the LL6. With this model, you can expect bright sound and unique bracing that Yamaha Guitars is known for. Its jumbo shape body using Solid Engelmann spruce wood that’s known for producing richer, warmer kind of wood, laminated rosewood for the back and sides, and ebony for the fingerboard makes this a quality choice. Yamaha tends to hide imperfections on their guitars, and the LL6 has some. It comes with plastic bridge pins, saddle, and nuts, which isn’t mentioned anywhere on their website. Fender is largely known for its incredible attention to detail on their guitars. They also have their own shops where you can ideally customize your guitar based on any of the models. In the 300CE, it used maple wood for the top, laminated mahogany for the back, neck, and sides, and rosewood for the bridge and fingerboard. The setup was finished off using an elegant natural gloss. The main advantage of this guitar is the strap nuts found on its body, as well as the tuners that make it stay in tune for long periods. It also makes you play cleaner because you can notice mistakes quite easily. The only downside is that the side woods shows marks very easily, which affects the overall look of the guitar.